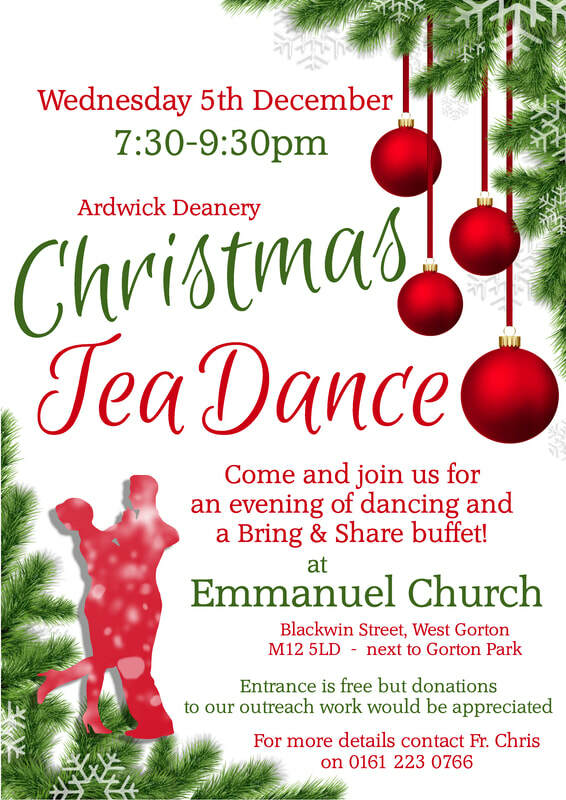 Our Deanery Dancing Classes have been such a great success again this year that we're celebrating with an evening of festive fun and dancing at our special Christmas Tea Dance at Emmanuel Church, Gorton, on Wednesday 5th December!!! Anyone is welcome to come along, whether you've been to the Dancing Classes before or not... there will be exhibition dances by class teachers Fr. Chris and Shanice, as well as dances everyone will be able to join in with!!! There will also be a Bring & Share Buffet so please bring along something yummy for the table!! Entrance will be free but we will have a donation pot with all money raised going to local community and outreach projects so why not come along for some festive fun and do some good at the same time! !